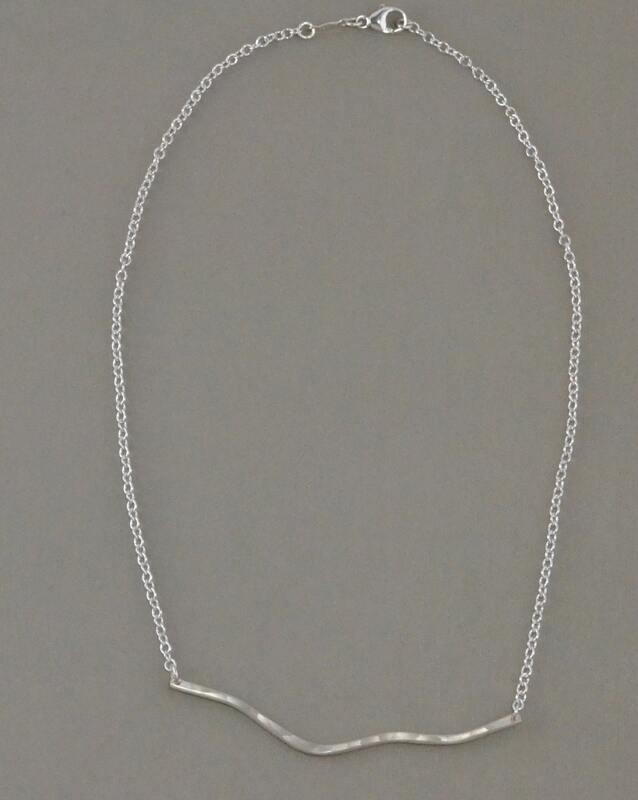 This striking sterling silver pendant necklace is part of our Tidal Collection. 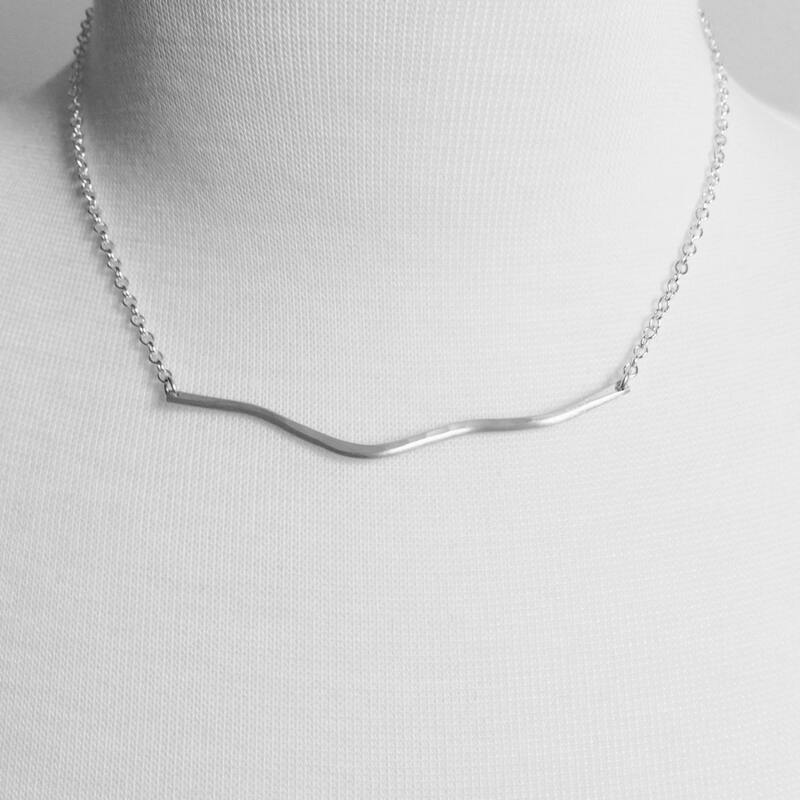 The driftwood necklace features a lightly hammered pendant on a sterling silver cable chain. The pendant measures 3 inches long. The clasp is a sterling silver lobster claw. The hand shaped pendant has a brushed matte finish reminiscent of weathered driftwood pieces along the shoreline. Because we hand shape each pendant individually, no two are exactly alike.